You can now test your dog’s DNA in the comfort of your home for as little as £40. 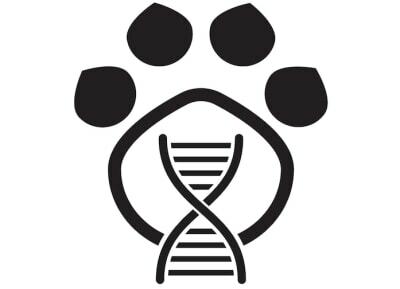 Following the mapping of the dog genome in 2005 and the growing popularity of human DNA kits like 23andMe and Ancestry, a number of start-ups have released dog DNA kits that can reveal information about your dog’s health and heritage. Bought By Many's Complete policy comes with £15,000 of cover for vet fees and will cover stem-cell treatment and gene therapy. See the best pet insurance policies in the UK. The cost of DNA kits varies between £40 and £200. The cost depends on what they are designed to test for. DNA profiling tests are used for identification if your dog is ever lost or stolen. Some kennel clubs require DNA profiling as a form of identification. This type of test is purely for the purposes of identifying a dog and will not tell you about the breed make up. These tests are offered by the Animal Health Trust and cost around £30. This test can help mixed-breed owners identify what breeds make up their dog, or confirm the pedigree of a pure-bred or designer dog. Breed-analysis-only DNA test kits usually cost under £100. Some companies, like Embark and Wisdom, have over 200 breeds in their databases, which helps ensure the accuracy of the results. Embark allows you to find your dog’s relatives among all the other dogs it has tested; but it's based in the USA, so it's likely that most dogs in its relatives database will be American. These tests identity genetic mutations that might cause health problems. They can tell you whether your dog carries a genetic disorder that it can pass on to its offspring, or whether it might develop the disorder later in life. The number of diseases screened for vary among companies. Embark can screen for the largest number of genetically inherited diseases (175) and the DNA kit costs £150. The Animal Health Trust offers to test for some individual disease. Prices vary. It is also collecting a DNA database of dogs. You can donate your dog's DNA for free through your vet. Be aware that Embark and DNA My Dog are based in the US. The prices in pounds will depend on the currency rate at the time of buying. In addition, Embark will charge $10 to ship your kit while DNA My Dog will ship for free. However, you might have to cover the postal expenses to send them your dog's DNA sample. So, are these tests any good? PC magazine UK conducted research to determine the accuracy and quality of a few kits and cross-referenced the data they supplied. Wisdom (£75) and Embark (£150) emerged as their favourites because of their large breeds databases and the high number of genetic disorders they test for. They identify Embark as the kit that supplied the most accurate results and DNA Affirm (£37) - the least accurate. The overall conclusion was that the cheaper kits were not as reliable and the more expensive kits usually screen for a larger number of genetic disorders and tend to be more accurate. Looking for the costs of pet cover for dogs? Learn more about how much dog insurance in the UK costs. 1. Order your kit - some companies will ask you to register it by setting up an online account, as soon as you get it. This will help you view your results and other available health insights. 2. Swab the inside of your dog's cheek with the cotton stick provided in the pack. The cotton head will soak in your dog's saliva which the company's laboratory is then going to use to extract your dog's DNA. 3. Seal and send the sample back to the company. The price of postage will be included in most packs if the company is based in the UK. If it's based in the US, you might have to pay to post your sample. 4. Most companies will return the results within a month. Whether you'll get the results via post or online will be set out in the instruction manual of each kit. This should apply to most kits but always read the guidance included in each pack as there will be slight differences between brands. DNA testing raises some concerns, such as how owners interpret the results and what breeders could do with the data. DNA testing can lead to selective breeding that can significantly change well-known breeds. This also means, however, that in the hands of ethical breeders, we might be able to reverse the debilitating effects of selective breeding. Researchers at Cambridge University are already looking at the genes that cause brachycephalic obstructive airway syndrome (BOAS) with the hope that identifying it would allow scientists to alter or eliminate them. The hope is that if we can test for BOAS genes, we can help breeders avoid breeding dogs carrying those genes. On the other hand, this poses another concern about misinterpretation of the data. While the presence of a particular gene cannot with absolute certainty reveal how ill a dog can get or whether it will become ill at all, some owners might be tempted to do something to curb their pet’s suffering before it’s started. For example, in 2018, the journal Nature reported that an ill pug was euthanized because her owners believed her DNA test results showed she has a rare neurodegenerative disorder; whereas the condition may have been something else, potentially easier to treat. If a disease-related mutation is identified in your dog's DNA, it may be stressful living with the knowledge your pet might develop a serious illness. On the other hand knowing your dog carries or has a mutation, such as multi-drug resistance, can help you and your vet provide the best care possible. It's a choice owners will have to make.